"This was a workshop that initially was set up to just inform Utah. The different water agencies and the state are just ready to work together, to collaborate," said Rachel Shilton, the manager of planning for the DWR. Shilton said the state and local municipalities work together to develop drought plans. The state works with local organizations ahead of time to determine what the plan will be, but the DWR can’t enforce plans, so it is up to local agencies to implement them. For example, the state believes outdoor watering during a severe drought is not necessary watering. "We would say if their supply is a reservoir and that reservoir is 50 percent lower than it typically is for [in] July, that they would decrease their share water that’s delivered by 25 percent," Shilton said. "And we would have already gotten the input to say that that’s what they would do to stretch their supply water clear to the end of the season." In this case the state could recommend to water agencies that residents in their areas limit watering to weekends only, or to alternate outdoor watering days. In Farmington city, where there is currently a severe drought, the Benchland Water District has a conservation plan that prohibits outside watering on weekends. In order to enforce the plan, residents who water during the weekend have to pay fines, and could ultimately have water turned off if they continue to water during restricted hours. 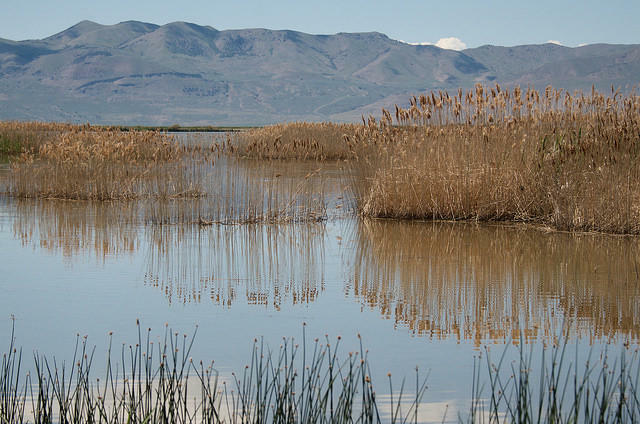 The Utah DWR hopes to hold additional workshops, according to Shilton who says that ideally these workshops will provide a way for them to continue working with local water agencies to better coordinate drought plans throughout the state.